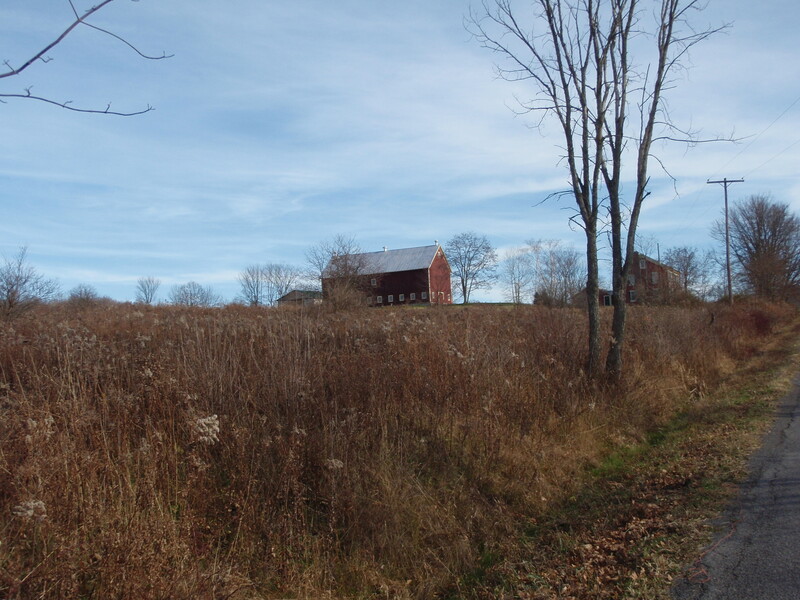 Our farm spotlight this month is Peaceful by Nature Farm, owned and operated by Karen Hoffman and Jack Salo in Norwich, NY. Jack and Karen both had an interest in farming when they moved into their current home, located 7 miles outside of Norwich, in December 2011. The original house and barn were part of a dairy that had been renovated by the previous owner. When they moved in, there were 15 acres of a mix of open hay land and overgrown, former pasture, much of which needed to be reclaimed. Their overall vision is an organic and sustainable model. With the assistance of the USDA’s Grassland Reserve Program, Jack and Karen are implementing a multi-year plan to clear brush and install fencing. Perimeter fencing was completed this summer, and a water system will be installed next year. An important strategy for building soil organic matter and fertility has been to feed round bales outside during cold weather months. The round bales are located on low fertility ground and bales are systematically staged to cover as much ground as possible. This past spring the feeding areas were seeded using a mix of grasses, legumes, radish, etc. The results were encouraging and this practice will continue as a primary strategy for improving the soil and pastures. Using a long-term, low-input system of land reclamation is still in progress but has required less machinery, less energy, and more outdoor time for the sheep and steers, improving the overall health of both land and animal. Peaceful by Nature Farm currently has 44 ewes and lambs, 4 steers, and a flock of 20 heritage-breed turkeys. Karen has used networking to build an initial customer base. They sell lamb, turkey, and beef–the turkey is processed on their farm, and they use Larry’s Custom and Meats in Hartwick, NY to process the lamb and beef. Fallow land at time of purchase. When they purchased the land, there was no existing fence in the pastures. They depended on temporary fencing and solar fence chargers. 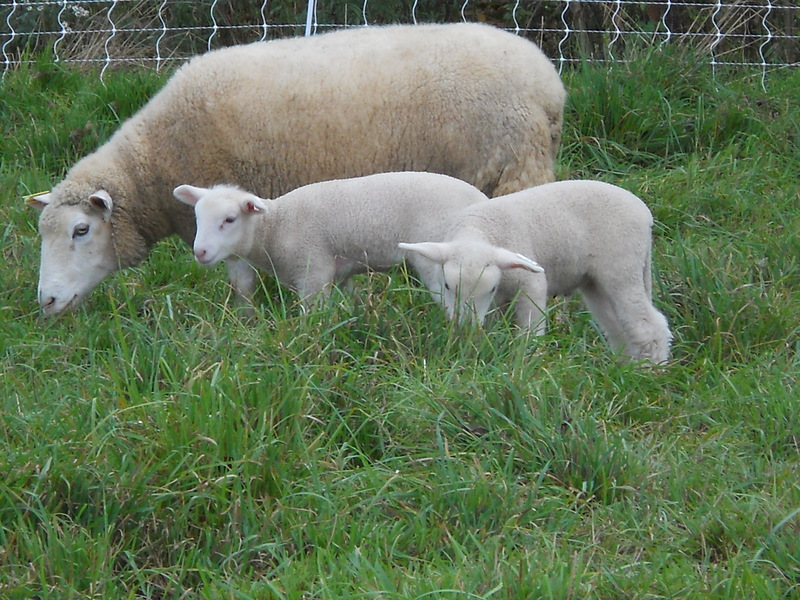 In early spring 2012, their 5 Dorset sheep were grazed on the lawn and 1.5 acres of hay land. They bought their first ram and had lambs the following fall. Using a slow and thoughtful process of getting set up and building fences allowed for pasture reclamation as animal numbers increased.Karen’s advice, therefore, is to “Start small and figure out what you want before investing. Make your plan, learn your land and its needs. Think about your time, labor, and costs, and go slow.”Jack adds that a challenge is balancing jobs and family with a farm start-up. Peaceful by Nature Farms has operated without the use of a tractor, which cuts costs, but can increase time and labor needs. They are currently shopping for a tractor after struggling last winter to move round bales onto pasture with muscle power only.A tension also exists between moving forward in farm development and responsibly managing livestock, doing daily chores, etc. A balance has to be struck between the two. In Chenango County, Karen has noticed a cyclical pattern in the success of the local food economy. Several years ago, there was a growth in the “Know your food, know your farmer” movement, which has seemed to wane in recent years. Chenango County was also the birthplace of Chenango Bounty which provided weekly deliveries of locally produced foods (Note: Chenango Bounty is no longer in operation). Jack notes that these fluctuations and “false starts” are likely tied to the economic and demographic realities of Chenango County. Viable and growing local food economies typically require both sufficient population and incomes to support the effort, hence a regional approach may be most effective. 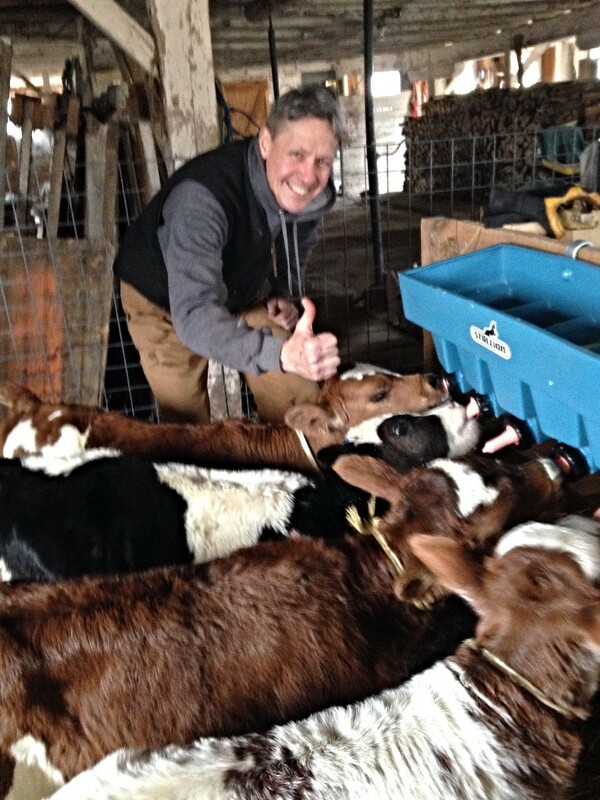 Dairy farming and livestock are the foundation of Chenango County agriculture and create opportunities for direct farm purchases of dairy and meat products. Farm-to-consumer purchasing is an important part of the local food connection, particularly in rural areas. “The region, climate and land base aligns well with grass based agriculture. There’s an opportunity for consumers to support local dairy and livestock farmers who want to direct-market their grass-based products, which helps them to be economically viable and sustainable over the long term, which gives hope for the future,” Jack explains. What else is needed to strengthen the local food community? An ability to access food at the local and regional level. The model is currently operating on an income-based system, leaving a large portion of the population without access to fresh, locally produced food. The Food & Health Network not only includes different types and sizes of farms, but many other aspects of the regional food economy are also involved. Karen explains that she learned how to better market products because of her involvement in FaHN meetings and interactions with people in food service. A cross-sector approach and understanding helped her develop a product base. “You have to provide convenience to the customer to market your products. This is a valuable part of being involved with the Food & Health Network.”FaHN should serve its members—anyone who farms or wants to do direct sales. “FaHN promotes farmers and food-related businesses that have a role in the local food economy. Direct connections should be made between these two,” Jack explains. FaHN can help farmers to be successful while also connecting consumers to local products. Since FaHN has a regional focus, it can play an important role in removing the extreme definitions of “local” as being only within a county or a specific radius from where one lives or works. Looking at the region, rather than just one’s immediate surroundings, is important for direct procurement from farms and will give consumers greater opportunity to invest in the regional food economy.